Is Your Pump Big Enough For Your Pool? The general rule of thumb to follow with a pool pump is to find one that is able to circulate all of the water within an 8 hour period. This means looking at the capacity of your in-ground swimming pool to determine the right size pump. 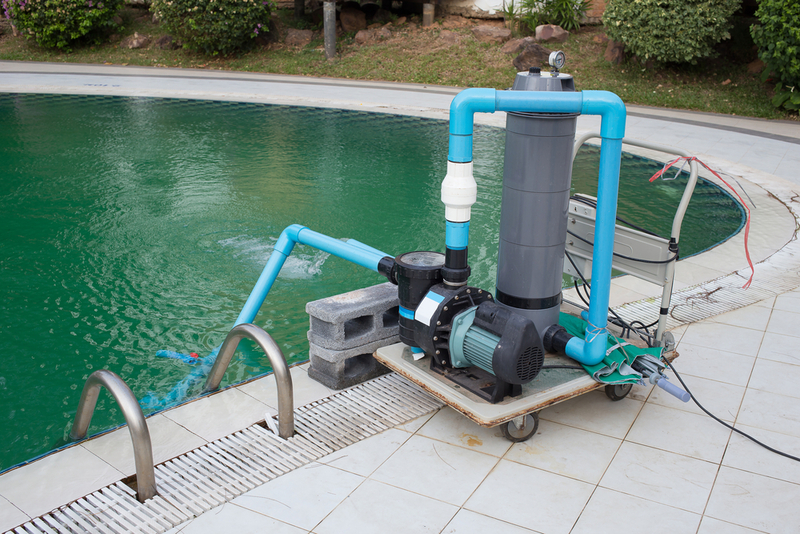 Ideally, your pump should be filtering all of the water in the pool in an 8 hour time period. So the next step after determining how many gallons the pool holds is to figure out how much water needs to be filtered per hour in order to accomplish this task within that time frame. This formula is simple, simply divide the number of gallons your swimming pool holds by 8. That numeric result is the number of gallons of water you need to pump per hour. Since most pool pumps are sold in GPM – gallons per minute – divide that last number by 60 to achieve your final result. Using a 10,000 gallon pool as an example, you would first divide 10,000 by 8 to get the GPH – 1,250. You will then divide by 60 for the GPM – 20.83. So you need a pump that is able to circulate around 21 gallons per minute in order to meet the needs of your swimming pool. The last step would be to determine the feet of head. This refers to the suction lines in relation to the placement of your pump. Add together the number of feet from each skimmer or drain and then divide by the number of total lines to get your average feet of head. Using this information combined with the GPM, you can compare the specifications of various pumps to find the one that best matches your needs. Other factors could affect the size of the pump you need, such as water elements or heating devices. The pool pump is vital to keeping a clean pool, if you are having trouble figuring out the best one for your circumstance, ask a professional to help you with the calculations.